•Who is allowed to participate in The Market? Brands across most categories and families of business are eligible to apply to participate. Brands outside of the retail industry (e.g. entertainment, media) may also apply for participation, along with companies that provide a service. The categories we cannot currently support with The Market are maternity, perishable food, sunglasses and athletic sneakers. •Can international brands participate in The Market? Brands can participate if they have a U.S. bank account, W9, ACH and a valid U.S. shipping address. •If I am in a category that Macy's already carries, can I still participate in The Market @ Macy's? Yes! 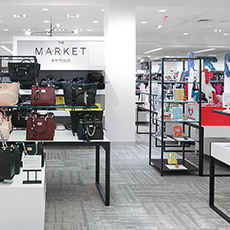 At its core, it's all about bringing in newness—opening The Market to brands and offers that are fresh to Macy's and to our shoppers. •How does the financial model work? 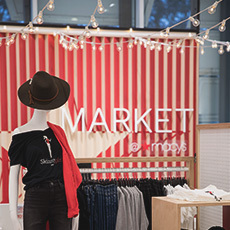 The Market @ Macy's is not a revenue share—rather, brands that participate are required to pay a one-time, up-front, all-inclusive fee, which is due 30 days before entering The Market @ Macy's. Brands that participate keep 100% of their sales. •So how much is the one-time fee? The one-time fee varies and is determined by three factors: the store, the number of pods and the length of time. Prices also vary by season. For more specific information on pricing, apply now. •What are the eligibility requirements to participate? During the time a brand participates in The Market, the brand shall maintain commercial general liability, including products liability, products/completed operations, bodily injury, property damage, personal/advertising injury and contractual liability coverage insurance policies in a minimum amount of: $1,000,000 each occurrence, and employer's liability insurance: $500,000 each accident, for bodily injury by accident, $500,000 each employee. Brands conducting services are responsible for any permits or licenses that would be required to conduct business. Brands must have a domestic US bank account (to send your electronic payments). International brands are required to handle customs before shipping goods to our store, and must have a U.S. return address so we can ship remaining product back at the end of your term. This does not need to be your physical office or legal business address—you may use a third party service provider to assist, if needed. 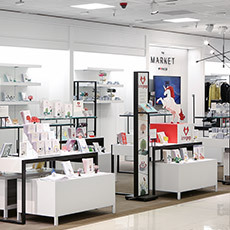 •What do I get by participating in The Market @ Macy's? You'll get a full-service retail experience. 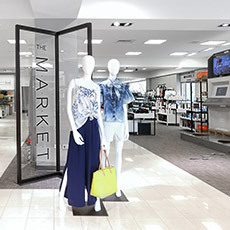 •Is the Market @ Macy's online? No, it's currently available in-store only. •Does The Market @ Macy's accept returns? 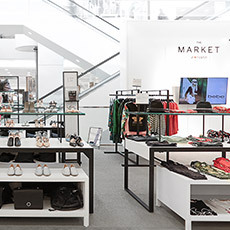 Yes, it's our goal to consistently offer the best shopping experience to Customers. We have a worry-free short-term Customer Return policy that would allow exchanged units to be captured before the close of your pop-up. 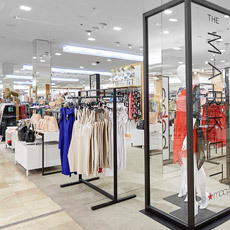 •Can customers use Macy's coupons in The Market @ Macy's? No, it's exempt from Macy's coupon offers. 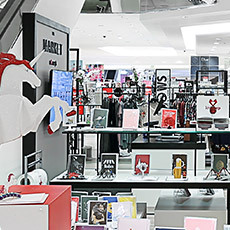 However, brands can choose to run their own promotional offers, and Macy's will work with you to execute them. 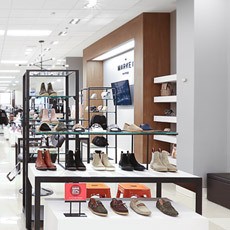 •Will additional stores be added to The Market @ Macy's in the future? Yes! We will continue to open up new locations in Fall 2018 and in 2019. Please come back and visit us for an updated list of stores. •Can my brand be featured in more than one location? Yes! You can apply to be in any number of locations. 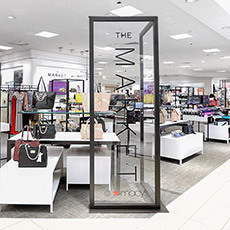 •How long can my brand be featured in The Market @ Macy's? Brands are required to be in The Market for a minimum of one month up to a maximum of three months*. The length of time you stay is flexible. This also means you can stagger your launches and go into different stores at different times. *Note: if you are looking to participate in The Market during the holiday season (November-January), we require that you stay in the space for the full three months. •What happens if I sign up for one month but then decide, while in the space, that I want to extend? We book brands in advance, so this is based on availability. Start by emailing themarketatmacys@macys.com with your request. Our team will work with you to come up with a solution, like returning at a different time or location. •Can I only participate in The Market @ Macy's one time? We encourage all of our brands to continue and grow with us. •How can I find out more information about each location and its customers? You can find out more about each location in our Location Guide. If you are looking for additional information, please go to each mall's website. •Where will I be located within The Market? 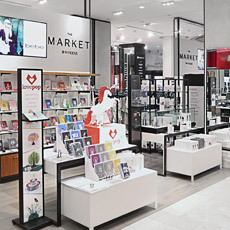 The Market is located in high traffic areas within the Macy’s store, typically near a main entrance, escalator, or major thoroughfares. Your exact location within The Market is decided by our team, so ensure you have the optimal space for your brand. •Does my brand need to be UPC compliant? We prefer that all brands are GS1 certified (requires a certification of proof). 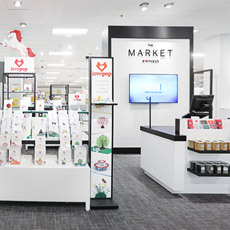 If you are not GS1 certified, Macy’s will provide you GS1 certified UPCs, free of charge, for use in your time in the Market. •Will I receive detailed item level selling? Yes, item level selling is available daily. •How will I be paid? Macy's follows the NRF Retail Fiscal Calendar (formerly 4-5-4 calendar). However, you are paid no later than every third Monday after the fiscal month closes for your sales the month prior. This will be directly deposited into your U.S. bank account. Example: Fiscal February closes on March 3. You will be paid for your February sales no later than March 19. •Can I come into the store myself? Absolutely! Brand Ambassadors are more than welcome in the space. However, Ambassadors are required to follow our guidelines, which will be communicated in the onboarding process. •If I am a service, do I have to staff my own space? Yes! If you are offering a service, you are required to staff the space with associates that hold the necessary permits/licenses to conduct the business and that follow our brand ambassador guidelines. •Can I do an event in my pod in The Market? Of course! During your onboarding process, we'll provide you with clear guidelines on how to organize an event. •How do I ship my goods? You ship them directly to our stores! No EDI required. •I want my brand to be featured at The Market @ Macy's! What's next? We couldn't be happier! Please submit an application and we'll get back to you shortly.